There's no better place for some silent reflection than next to a serene body of water. 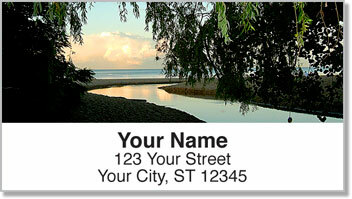 Sitting on a sandy beach or near a quiet stream, you become calm and feel refreshed. 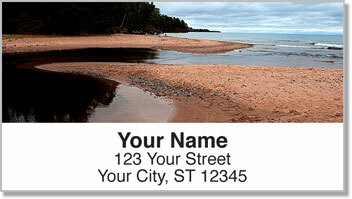 Tranquil Water Address Labels from CheckAdvantage feature beautiful nature photography of four special spots where you can go to clear your head. Sometimes the routine of everyday life can be a drain. That's why you love any help you can get. These convenient labels have a self-adhesive backing that makes the routine task of preparing your outgoing mail quick and easy. Just peel and stick them on every envelope. 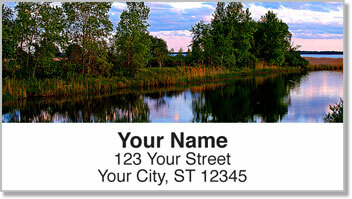 Get your very own Tranquil Water Address Labels now! 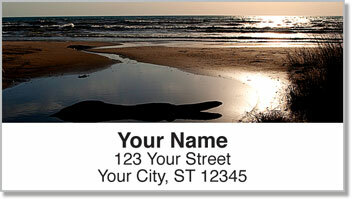 This scenic design is also available as a set of matching personal checks.